Just as the coast near Arnarstapi, Jökulsarlon glacier lagoon is a touristy Iceland destination that attracts flocks of photographers (even more so than the former). We have also been there at an appropriate hour (sunset), but I am rather unhappy with my photographs from that landmark. They are all somewhat boring; mostly because I could not decide whether to concentrate on details or the overall view. 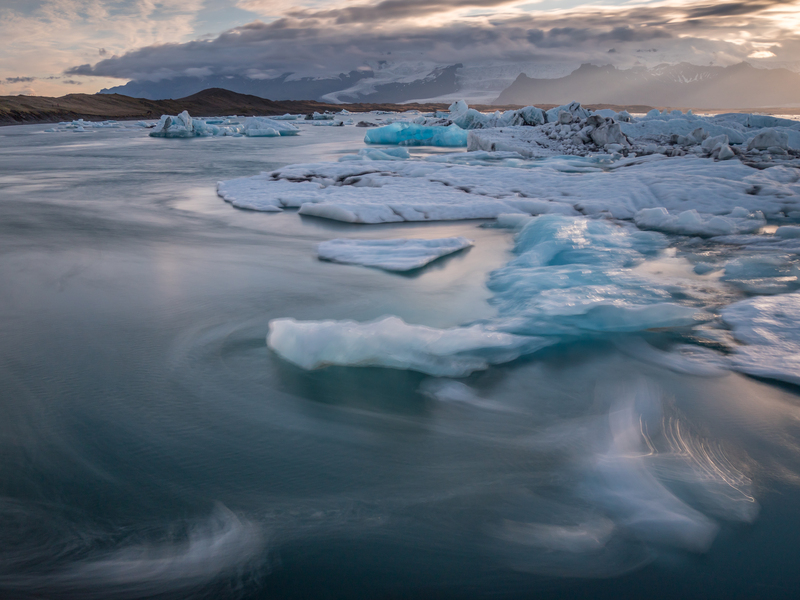 I may also have been biased by the many glacier lagoon compositions that I had already seen and did not start photographing with a clear vision of mine (which is not a good idea, of course). This is a landscape composition that I find worth sharing. I like the moving ice in the foreground, which adds dynamic to the composition, and the bright, greenish-bluish iceberg in the centre was the most attractive icy sculpture in the entire lagoon. 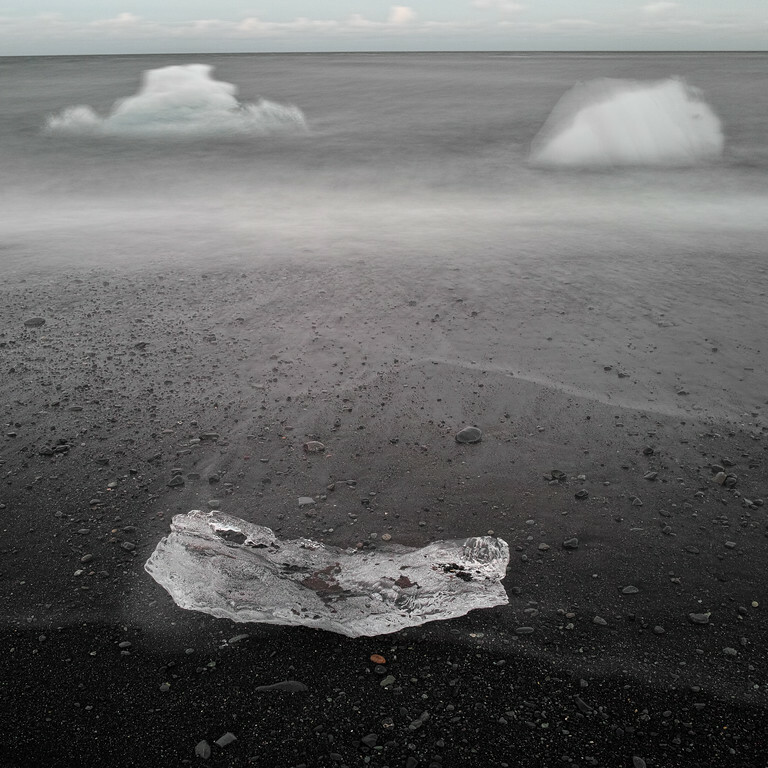 The icebergs on the beach next to the lagoon were a similar case: photographed a million times in the best possible ways. My compositions are rather modest, but I am somewhat amused by this iceberg smiley. Maybe it will also conjure a smile on your face.